So if you’ve made it this far, you’re now registered for the site and obviously have a problem with these little pesky things called mini boats. Welcome to the Madness! The MBM website has undergone a number of transformations over the years. Originally a forum site, the advent of Facebook “groups” seemed to take over the spot that had served by these bulletin board forum sites. We let the website kind of drift away, as we focused more on social media and building minis. Well, we’re back and ready to bring this thing we call Mini Boat Madness back to life and make it better than ever before. Over the long course of my personal descent into madness, I have acquired an extensive collection of mini boat data, photos, literature and knowledge. My desire has always been to compile and consolidate all of this information into a mini boat reference database. This is the core of what the website will be – a research reference for mini boat freaks and aficionados; those who have pulled yet another forgotten mini from the grips of the rubble pile. With that said, the current Mini Library is still in its infancy. We’re slowly but surely fleshing out the entries, as we get to know the intricacies of the new WordPress CMS; something new for us at MBM and we like it. Alas, data entry is a slow and tedious process. The format for individual entries is evolving and we’ll continue until we get it right. The library is will continue to be a living repository for the foreseeable future. While I’d like to say that I’ve seen all the minis that are out there, I can say that after 10 years of nearly daily involvement with mini boats, new stuff continues to pop up. That is just one of the things that keeps me interested and motivated about the mini boat world. The plan is to make MBM more than just an encyclopedia for mini boats. If you’ve spent a few minutes perusing the menu, you can already see that the Forum component is included, along with a Classifieds section. The MBM Blog will have contain the various mini related articles that we publish, which will also be connected with our Facebook page. Finally, we plan to unveil our new Podcast program in the very near future. 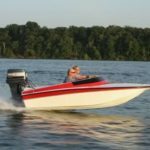 Our podcast programs will explore the wide world of mini boats, covering topics such as setup techniques, restoration projects, technical topics and interviews with various players in the mini boat arena. We’re particularly excited about this project and looking forward to the debut. Stay tuned for more information as we get ready to release the programs. So what does it all mean? Simply put, we love everything about mini boats! Their uniqueness, their fickleness and idiosyncrasies, the wide and weird world of mini designs and especially, the giant smiles on the faces of everyone who comes in contact with a mini boat! We have plenty of enthusiasm (in case you couldn’t already tell), but we need your help to really make this MBM thing the best it can be. Want us to cover a particular topic or event? Have information about something in the library, or something we need to add? Have an idea for something to add to the site? Whatever you’ve got, let us know! 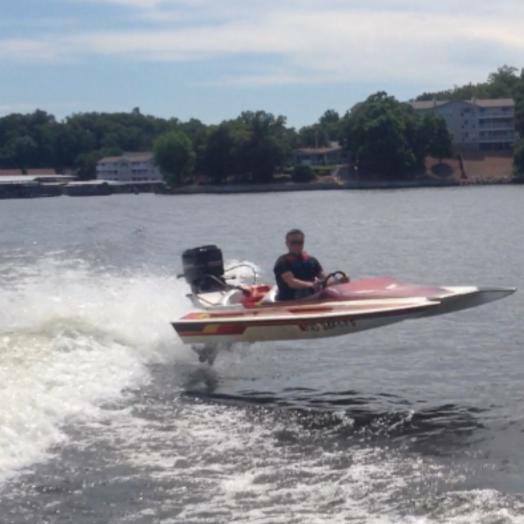 Help us build MBM to make it work the best it can for all the mini boat wackos. We hope to hear from you soon.